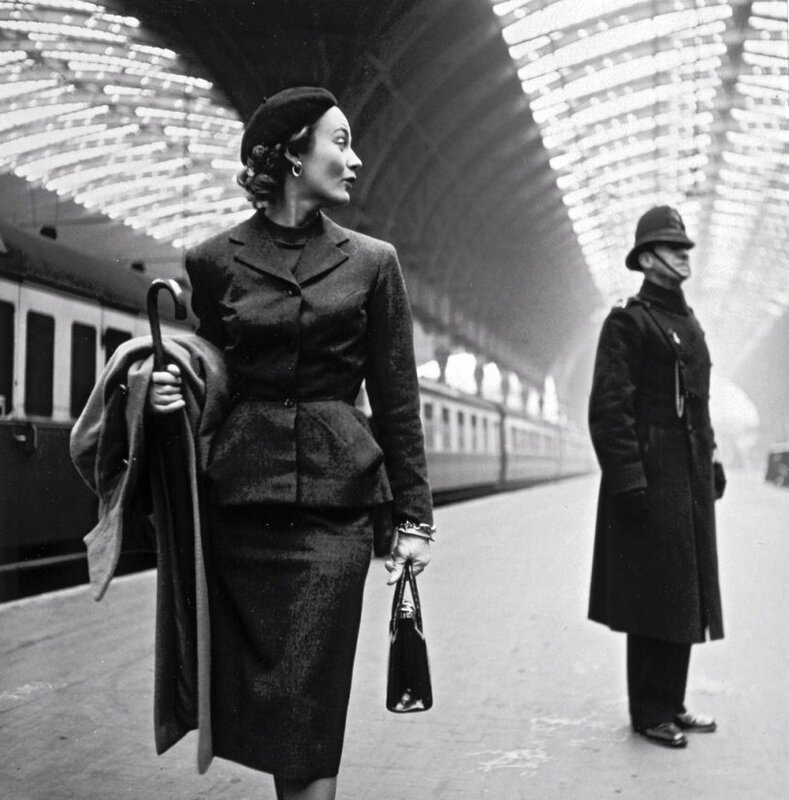 April 1940. East Dubuque, Illinois. 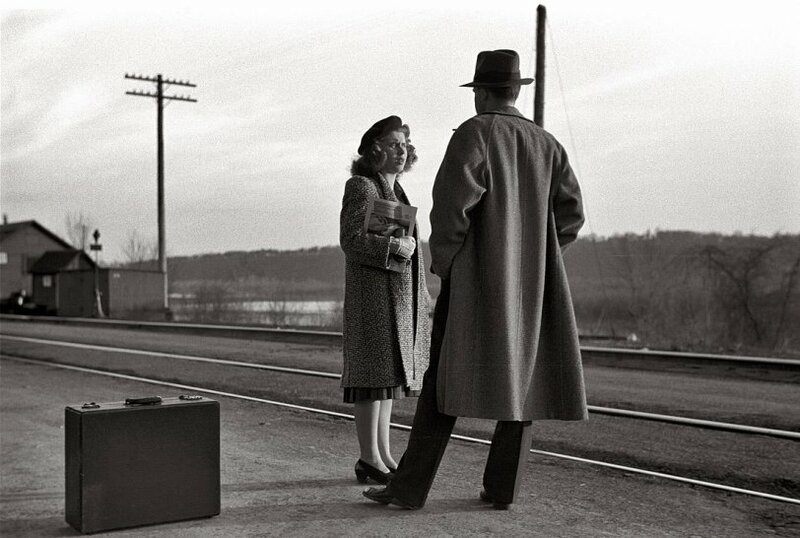 "Waiting for the train to Minneapolis." 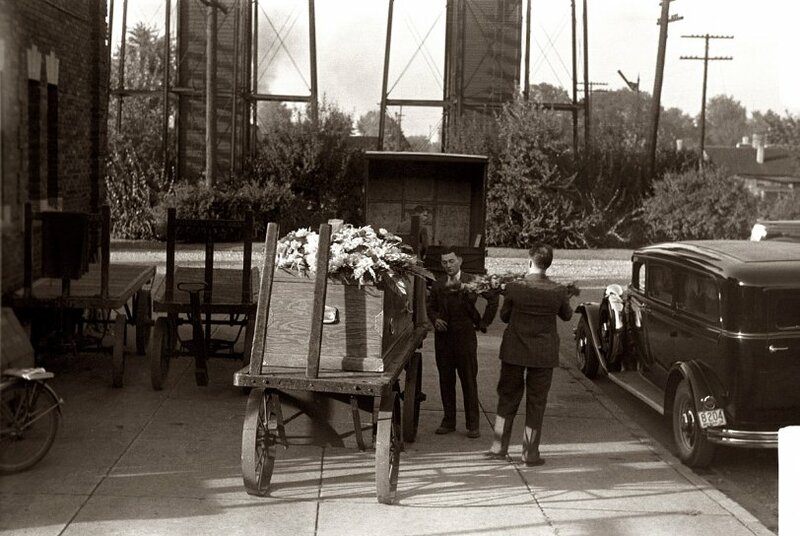 35mm nitrate negative by John Vachon. View full size. 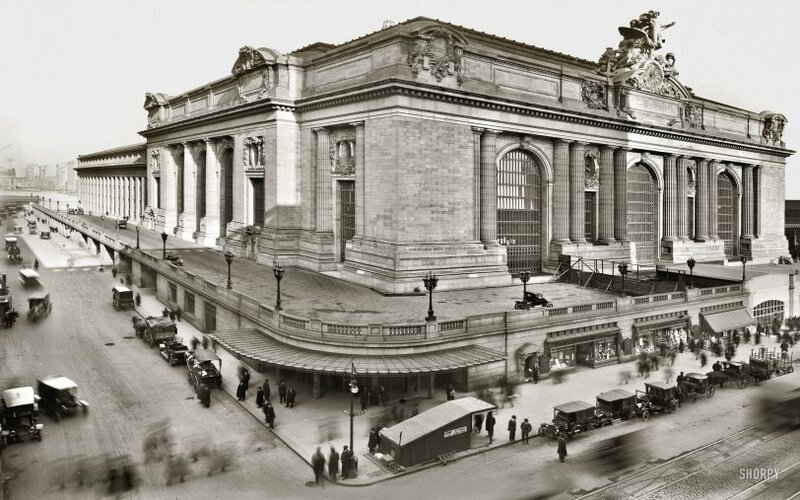 New York's Grand Central Station nearing completion sometime around 1913. 8x10 glass negative, George Grantham Bain Collection. View full size. 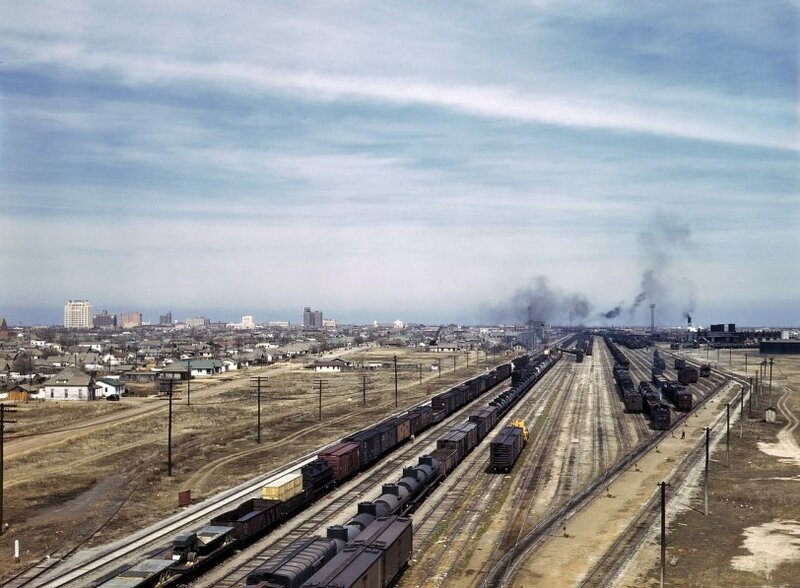 Amarillo, Texas, in March 1943. 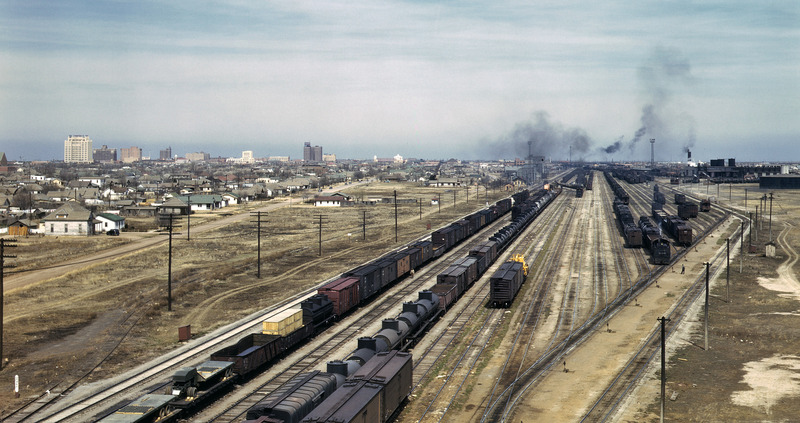 "General view of the city and the Atchison, Topeka, and Santa Fe Railroad." View full size | Or even bigger. 4x5 Kodachrome transparency by Jack Delano. More Amarillo here and here. 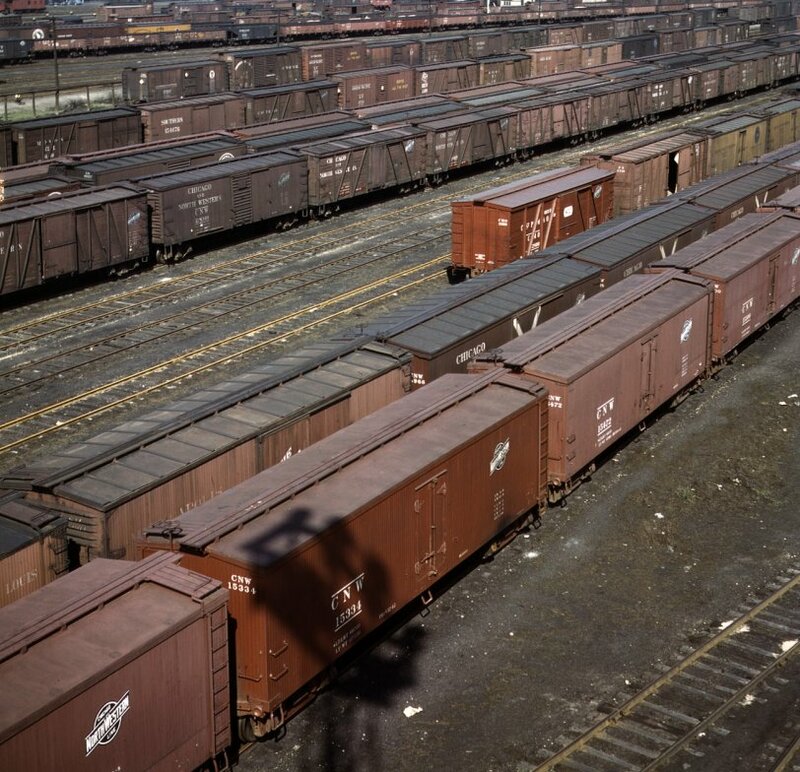 Freight cars in the Proviso Yard of the Chicago & North Western Railroad. April or May 1943. View full size. 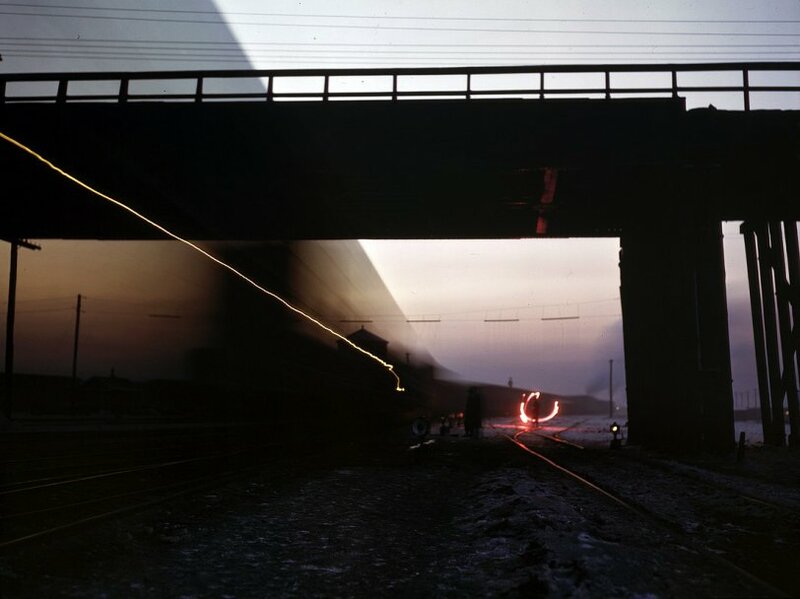 Kodachrome transparency by Jack Delano.